In this circumstance if Ernesto’s attorney had simply explained the irregularities found during the home inspection and provided evidence in support of his claims, his appeal would have been approved. Furthermore, Ernesto’s foreign attorney never provided him with a copy of his N-400 application. To make things worse, Ernesto never reviewed his application before its submission and could not verify the information that was being submitted. If you find yourself in a similar situation, in which USCIS is questioning the legitimacy of your marriage, you must be prepared to provide evidence proving that your marriage is indeed legitimate (such as evidence of cohabitation, commingling of assets, joint responsibility of assets and liabilities etc.). If you lead a non-traditional lifestyle that does not conform to established rules and/or customs, you must be prepared to explain your lifestyle and living arrangements. After the second denial, Ernesto visited our office with little hope for success. To examine the damage that was previously done and make a good faith effort to verify the information submitted in his naturalization application, our office filed an expedited Freedom of Information Act (FOIA) request to retrieve Ernesto’s immigration records—specifically the N-400 application. To give Ernesto the opportunity to challenge the allegations that he was not a person of “good moral character” our office filed a N-336 appeal. Upon further inspection of this case we found that USCIS had conducted a second on-site inspection this time at the home of Ernesto’s ex-wife during the second filing of naturalization. At this time Ernesto had moved out of the home he shared with his ex-wife because they were now in divorce proceedings. We discovered that the immigration officers that conducted the home inspection went to great lengths to intimate Ernesto’s ex-wife, going as far as providing her with a false statement written by the officers themselves, in direct violation of his ex-wife’s due process rights as a United States citizen. The officers attempted to coerce her into falsely stating that their marriage was a sham marriage. The statement however was poorly composed. Ernesto’s ex-wife had neither signed the document nor identified the home address on the statement. Unfortunately, this is only one of hundreds of cases in which immigration officers have overstepped their authority during on-site inspections. The USCIS fraud unit has a reputation for being abusive and intimidating, especially when they have an inclination that a marriage may not be legitimate. When in doubt, always contact an immigration attorney to prepare you for these situations. During the home inspection, USCIS had found a utility bill that was addressed to the applicant but contained a different address than the one that USCIS had on file. USCIS wrongfully accused Ernesto of providing false testimony with the intent to obtain immigration benefits. Of course this was not accurate. The applicant had never lived at that address and there was no proof to indicate otherwise. With our assistance, we were able to address all of these issues and correct the problems Ernesto was experiencing and his naturalization application was approved several months after his interview. What can this case teach you? Never solicit the assistance of a foreign attorney or anyone who is not licensed to practice law in the United States. Be sure to seek counsel from a licensed attorney who is well versed in immigration law, and has specifically dealt with the issues you are facing. Foreign attorneys are not qualified to file immigration petitions on your behalf and are not legally authorized to do so. 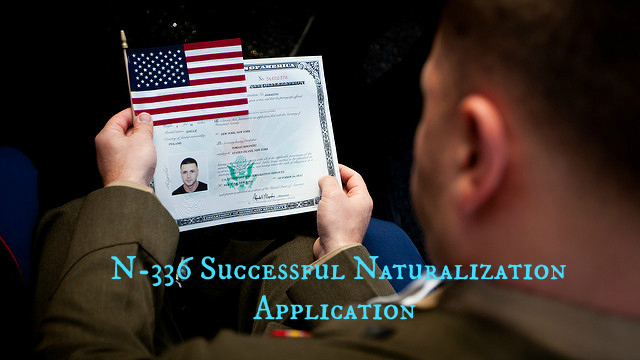 Secondly, be aware that you will be requiring to explain any irregularities that appear during your naturalization interview and at any on-site home inspections. Be prepared to back up your claims with documented evidence, and finally be very careful about listing all previous residential addresses on your N-400 application. Forgetting to list one may lead to many headaches down the road. If you are in a similar situation speak with an attorney who can further investigate your issues. Call us for a free first consultation.